When the evil Krad steals Santa's toy bag he crushes the holiday spirit- and over time, the world's children forget all about Christmas. Now, a wide-eyed orphan and her band of friends will embark on the polar adventure of a lifetime as they try to stop Krad from destroying Christmas once and for all! Featuring an all-star cast, Christmas is Here Again is a heartwarming animated odyssey in the spirit of Frosty the Snowman and How the Grinch Stole Christmas. When a mysterious black slime oozes up from the plumbing to infiltrate a new conference center, it causes attendees at an environmental convention who come in contact with it to have horrific hallucinations and nightmarish visions of past tragedies. Environmentalist priest Father Douglas Middleton (Kevin Sorbo) must team up with conference coordinator Khali Spence (Natalie Brown) to stop the slime -- or die trying -- in this sci-fi thriller. In the city of Shinjuku, a conflict between a rouge Karas by the name of Eko and the "will of the city" rage in a conflict for dominance. A Karas brought about to fight the rouge has fallen, leaving the city and its inhabitants defenseless. 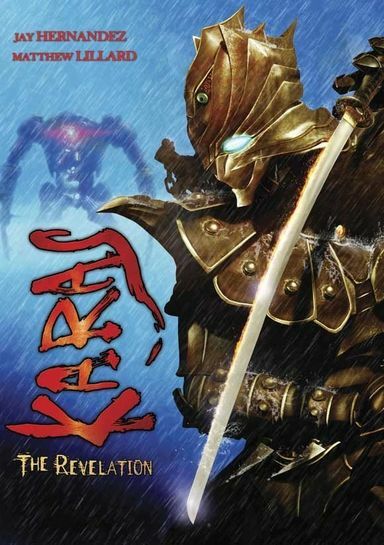 Soon after, Otoha, a comatose patient, is chosen to become a new Karas to face off the rouge Karas Eko to decide the fate of the city and its inhabitants. The film portrays the life of a Greek immigrant family, focused on four women from the first, second and third generation. However Elli who seeks a return to their home country, is not an isolated case. Many young migrants in their home country are looking for a better life. A compelling exploration of the legendary filmmakers who call the San Francisco Bay Area home including George Lucas, Francis Ford Coppola, Clint Eastwood, Chris Columbus, and producer Saul Zaentz. Frankenstein is a 2007 British television film produced by Impossible Pictures for ITV. It was written and directed by Jed Mercurio, adapted from Mary Shelley's original novel to a present-day setting. Dr. Victoria Frankenstein, a female geneticist, accidentally creates a monster while growing her son's clone from stem cells as an organ donor in an effort to prevent his imminent death. The true-life story of a Harlem's notorious Nicky Barnes, a junkie turned multimillionaire drug-lord, MR. UNTOUCHABLE takes its audience deep inside the heroin industry of the 1970s. The most powerful black drug kingpin in New York City history, Barnes came from humble beginnings to make himself and his comrades rich beyond their wildest dreams, ultimately reaching national infamy in 1977 when the New York Times put him on the front cover of their magazine with the headline "Mr. Untouchable". A love story wrapped in a mystery. "Youth Without Youth" stars Tim Roth as Dominic Matei, a professor whose life changes after a cataclysmic incident during the dark years prior to World War II. Becoming a fugitive, he is pursued through far-flung locations including Romania, Switzerland, Malta and India. The screenplay adapted from a novella by legendary Romanian author Mircea Eliade. "Jimmy Carter Man From Plains" is an intimate, surprising encounter with President Jimmy Carter. Following the path of Mr. Carter's recent controversial book tour for Palestine: Peace Not Apartheid, Academy Award©-winning director Jonathan Demme reveals a complex individual who, with the gusto and determination of a youngster, criss-crosses the country to get his message across, even as that message creates a media onslaught in which his credibility and judgment are called into question.